Meet Vampire Cat! We don’t just buy serious stories, we buy funny pet stories too! 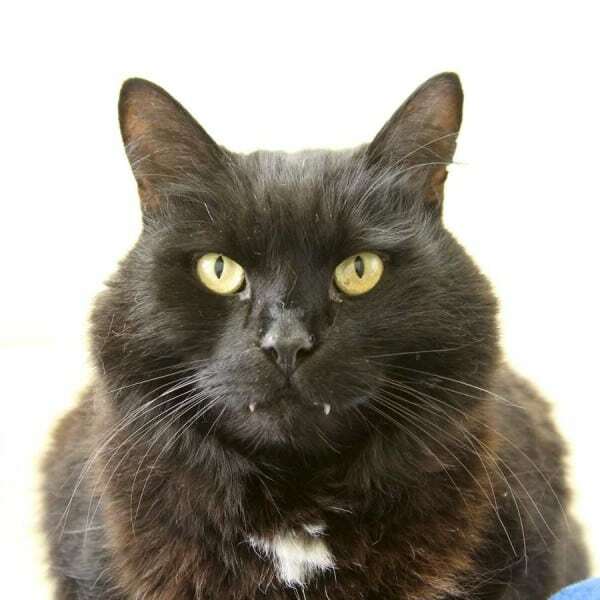 Meet Timmy, a nine-year-old black cat, with an enormous pair of front teeth which stick out of his mouth like a vampire. 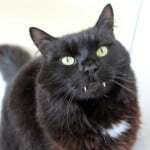 The nine-year-old moggy was taken into the Blue Cross re-homing centre around three months ago. Black cats are notoriously difficult to rehome thanks to myths and superstition that they bring bad luck. There were fears he might never find a home because of his bloodthirsty look, with most cats finding owners within a month. However ‘affectionate’ and ‘loving’ Timmy has finally been taken in by cat-lover Ann and her husband Mike. She said: ‘We saw him on the Blue Cross website and thought he looked and sounded great. If you have a funny pet like Timmy, get in touch today, we’d love to hear from you. We’ll get your pet into a magazine and pay you (that will help keep those pesky pet bills down!). Simply complete the story valuation form on this page and one of our team will get back to you with and offer if your story is suitable. At this stage you only need to provide the main points of your story; a few lines will do. Don’t forget, we consider all stories and we can’t be beaten in terms of the fees we offer you for your stories.